UPDATE (Highlighted).The Huawei P8 Max is now Launched in U.K. It is supposed to be Globally available next month. (Read More details below in price and availability). Huawei has announced their new flagship smartphones series i.e. Huawei P8 Max, P8 and P8 Lite. Followed by three mid range smartphones i.e Honor 4C and two other tablets. The Huawei P8 Max comes with TEENA certification. (equivalent to FCC in china). The Huawei P8 Max comes with a octa core Hisilicon Kirin 935 Processor. Features a 6.8 Inch. Yes you read it right 6.8 Inch Huge screen with a resolution of 1920X1080 pixels. 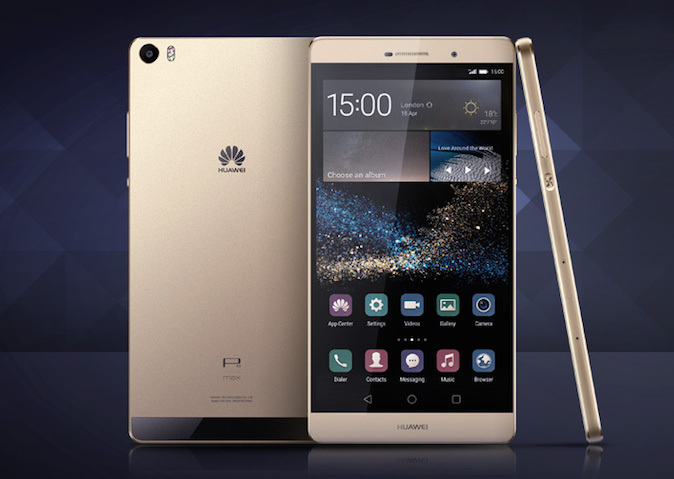 Huawei P8 Max is a premium built phablet made with integrated Magnesium Alloy body. (The same material use for advanced aviation construction).94% of its body is made up of metal. It comes with a huge 4360 mAh. battery which can last 2 days easily with moderately heavy usage. The Huawei P8 Max Supports Multi tasking by splitting the screen in landscape mode. (Equivalent to Samsung Multi Window Feature.). 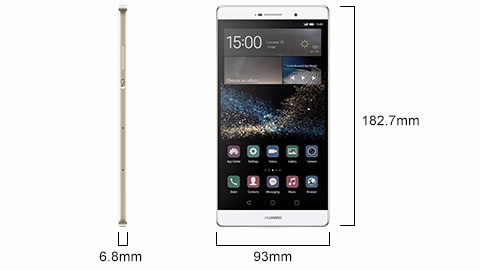 Key specs of Huawei P8 Max. OS Android OS v5.0.2 (Lollipop).Layered with Emotion UI v3.1. CPU/GPU HiSilicon Kirin 935.Quad-core 2.2 GHz Cortex-A53 & quad-core 1.5 GHz Cortex-A53. | GPU Mali-T628 MP4. DISPLAY 6.8 Inch LTPS LCD 1080 x 1920 pixels. (~326 ppi pixel density). CAMERA REAR 13 MP, 4160 x 3120 pixels, auto focus, optical image stabilization, dual-LED (dual tone) flash. Features. Geo-tagging, touch focus, face/smile detection, panorama, H.D.R. Video Features. 1080p@30fps recording. | FRONT/SELFIE CAMERA 5 MP. NETWORK 2 G/3 G/4 G LTE support. BATTERY Non-removable Li-Po 4360 mAh battery. STORAGE 32/64 GB options. Expandable up to 64 GB. (uses SIM 2 slot). FEATURES Corning Gorilla Glass 3 Protection. O.I.S . (optical image stabilization featured rear camera). Huge Battery. SENSORS Accelerometer. Gyro, Proximity, Compass. Difficult to handle due to its huge size. Dual sim functionality is compromised for micro sd card expansion. Huawei P8 Max Price and Huawei P8 Max Availability. UPDATE: The Huawei P8 Max is launched in U.K. It May be available globally next month. 64 GB is priced at 732$. i.e around 46,116 Rupees. (where 1 $ = 63 rupees). The Huawei P8 Max is available in 3 color options.i.e. Luxurious Gold, Titanium Grey, Mystic Champagne. Do share your opinions by commenting below. Previous story Increase Battery Life & Performance of Android | How To’s.